Size: 7 1/8 x 4 1/4 in. 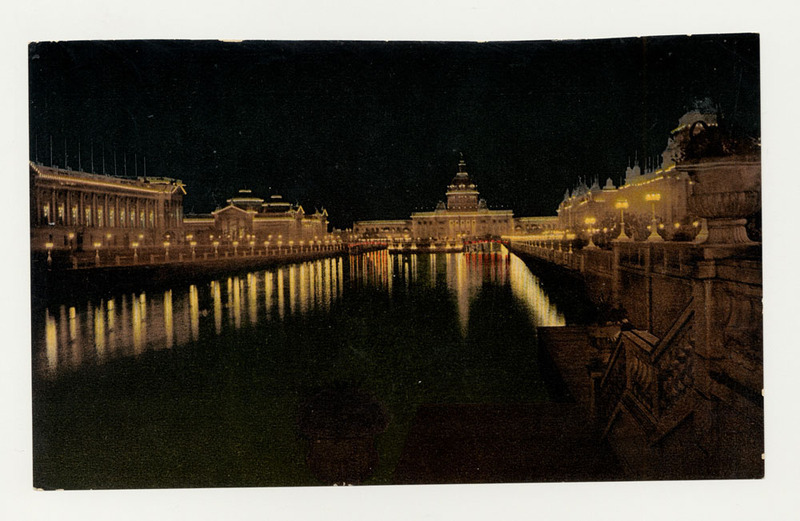 Colorized photograph of Grand Court at night. Liberal Arts and Fine Arts Buildings to the southwest; U.S. Government Building and balustraded island to the west; Agriculture and Manufactures Buildings to the northeast. Lights reflect in lagoon. Steps leading to the lagoon visable in foreground.